THE GREEKS, the highly anticipated new three-part miniseries tracing the innovations and legacy of an extraordinary people airs starting June 21, 2016, at 8:00 p.m. CT on OETA-HD. In this landmark event from National Geographic Studios, historians and archaeologists, actors and athletes, scientists and artists launch a groundbreaking exploration of the ancient Greeks’ journey — not just to better understand their past, but to discover how their legacy illuminates our present, and will shape our future. From the origins of Western civilization to the first democracy to models of art, architecture and philosophy that are still mimicked today, the story of THE GREEKS is the story of us. They were born of white rock and blue sea. They invented democracy, distilled logic and reason, wrote plays to plumb the deepest recesses of the soul and captured the perfection of the human form in athletics and art. “Any civilization that expresses curiosity among its citizenry — that is a civilization that will lead the world,” says astrophysicist Neal deGrasse Tyson, director of the Hayden Planetarium. Quite simply, the Greeks created our world. Today, of course, Greece conjures very different images — civic unrest, financial meltdowns, long ATM lines. But as its ancient history attests, strife and discord are often incubators for greatness. Starting out as hunter-gatherers in harsh, unforgiving landscapes and rising to face off against the greatest empire the world had ever known, the Greeks would overcome incredible odds to pave the way for the modern West. From the streets of debt-stricken Athens to the steps of the U.S. Supreme Court, the epic story of ancient Greece’s rise and fall helps us understand the challenges we currently face and, perhaps, points the way toward a better future. As a companion to the television series, NG Studios is also producing an innovative 10-part digital series titled The Greek Guide to Greatness, which explores the connections between ancient Greece and America today. The series will be available through PBS.org. The National Geographic Society Museum will also be featuring The Greeks: Agamemnon to Alexander The Great, an exhibition celebrating 5000 years of Hellenic history and culture and featuring more than 500 Greek artifacts, many of which have never left Greece before. The exhibit opens June 1, 2016. 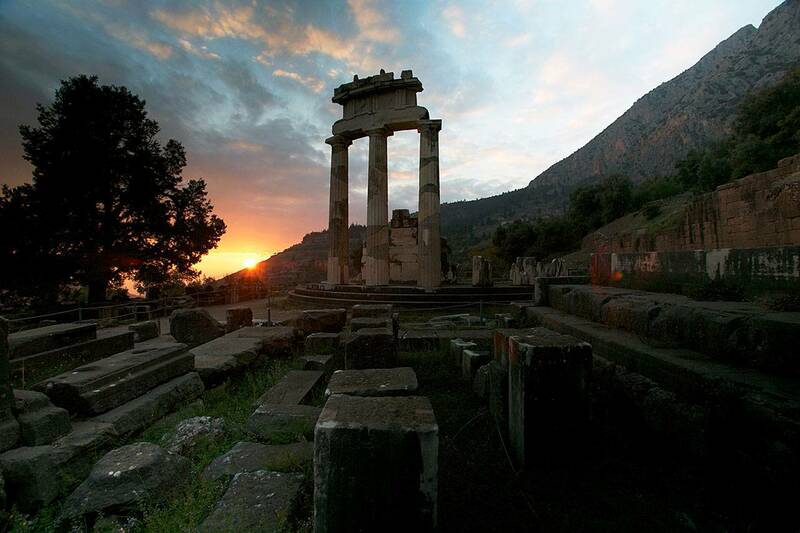 The Greeks was made possible by a major grant from the National Endowment for the Humanities. Additional funding was provided by the Arthur Vining Davis Foundations; the National Hellenic Society; Peter and Adrienne Barris; The Behrakis Foundation; Peter L. Corsell; Dean and Monique Dakolias; Ted and Lynn Leonsis; The Marcus Family Foundation; The Metropoulos Family; Michael and Virginia Mortara Foundation; John Pappajohn; Peter and Diane Pappas; George and Georgia Stamas; Kathryn Kithas Stewart and Robert Stewart and the Agnes Varis Trust.